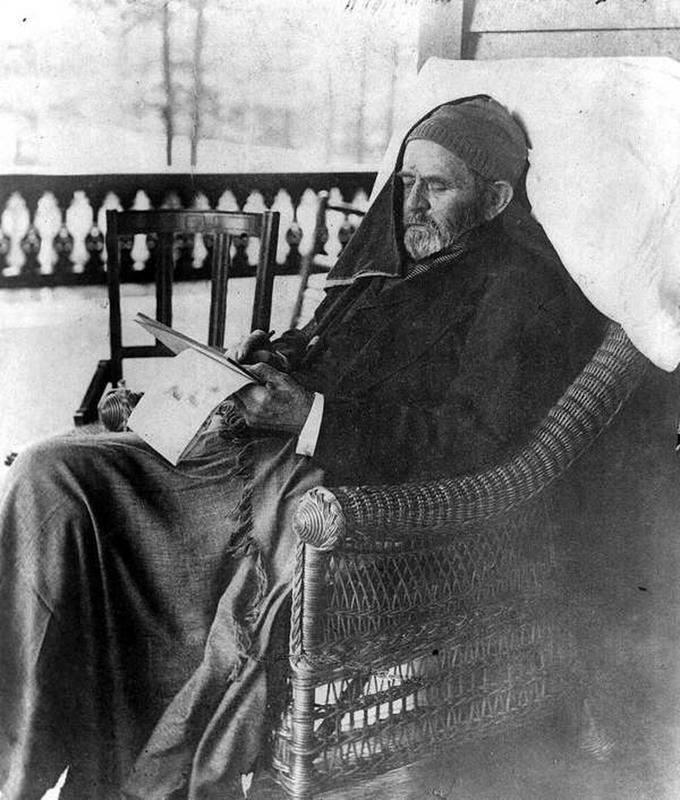 The photo below is that of President Ulysses S. Grant sitting on a porch, covered in a blanket, writing his on a journal. 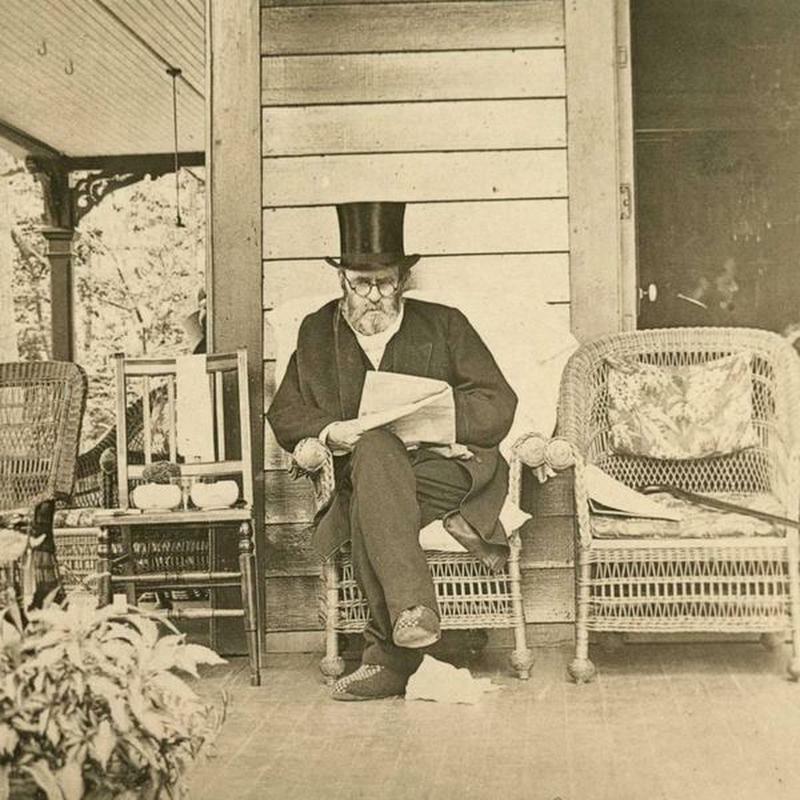 This photo was taken days before his death - he was not only writing on his last breath, he was doing so against a bankruptcy and desire to leave money behind for his family. 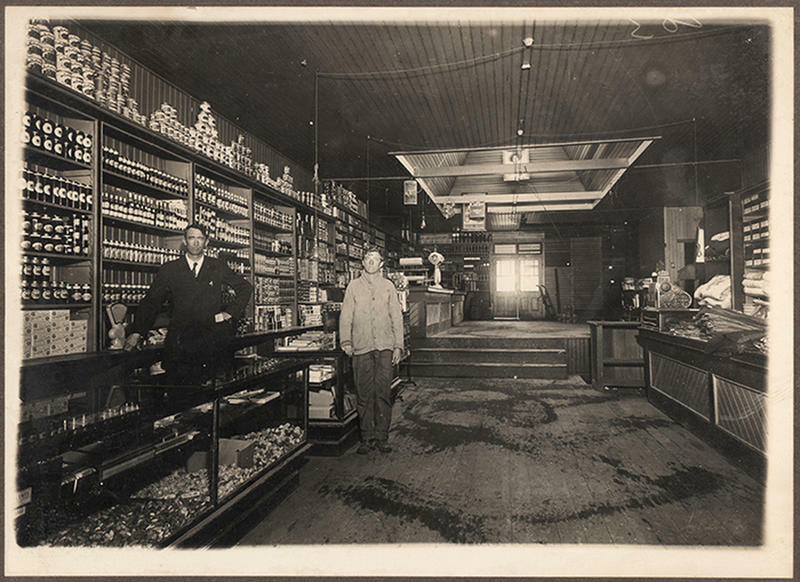 Coming from humble beginnings, Grant did what he could to reach his ambitions and provide for his family. 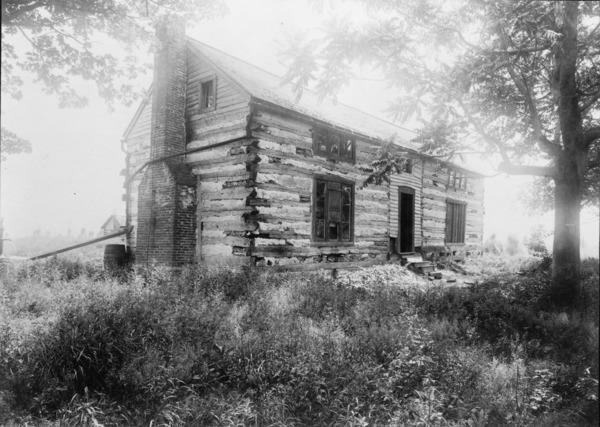 The photo of "Hardscrabble" below is the home Grant built in Missouri for his family. He did this himself. 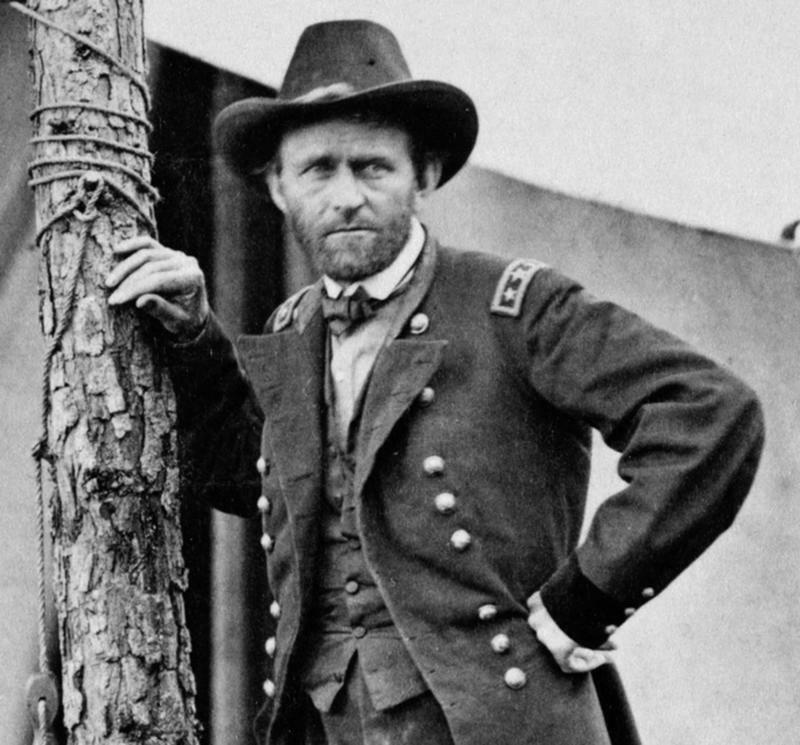 Grant went on to be a General, as we see him at the Battle of Cold Harbor in 1864. His success in the Civil War helped his Presidential run following the assassination of President Abraham Lincoln. Below is a photo of the inauguration of Pres. 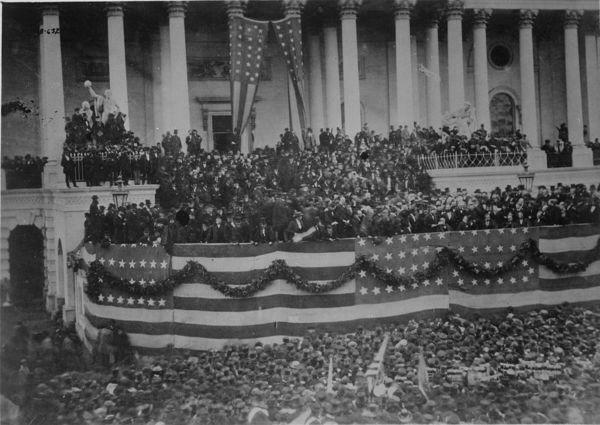 Ulysses S. Grant on the steps of the Capitol on March 4, 1869. Though his Presidency was considered mediocre at best, Pres. Grant was beloved and respected. He considered himself to be a statesman and a businessman. Little did he know that 14 years later, he would find himself in a drastically different situation. After a series of failed business ventures, he was about to go totally bankrupt, and he had this pain in his throat that they would soon learn would be much more. 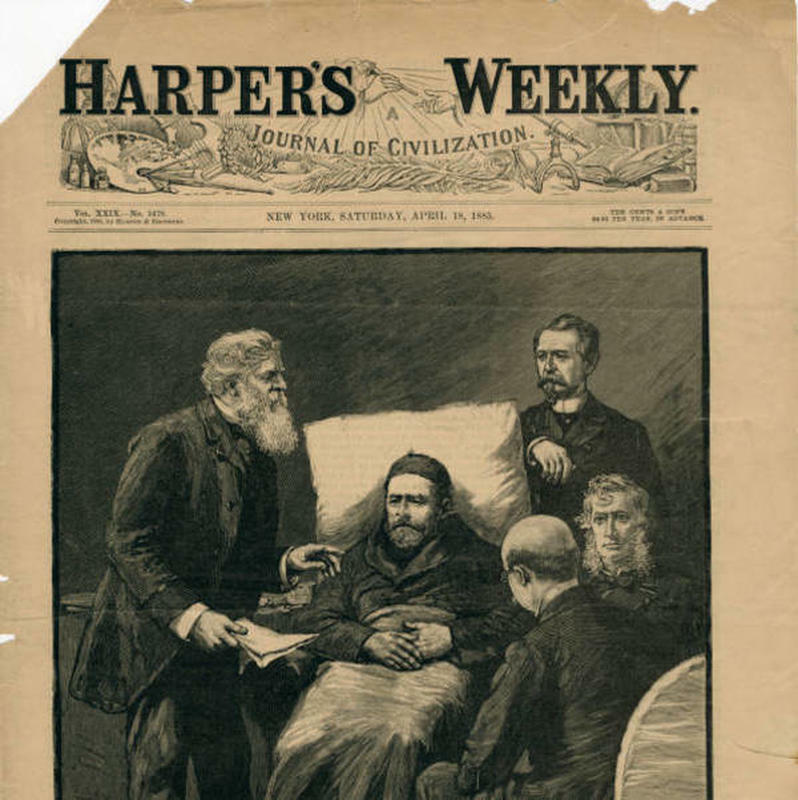 In April, 1883, Harper's Weekly posted the below engraving of Grant depicting him on what looks like a death bed. Rumors floated around that he was entirely broke as well. At that time in history, the U.S. had nothing in place that would ensure the appropriate legacy of its non-disgraced Presidents. Grant, thus, was at risk of dying not just bankrupt, but with a legacy that created a burden for all this around him. Grant worked on his memoirs in order to save his family. In 1884, he got an offer of 10% royalty on sales, but Mark Twain, his dear friend, stepped in and offered a 75% royalty to his family. He then moved his family over to a friend's house at Mount McGregor and began writing his memoirs in earnest. Many people credit this to be the last photo of Grant, and we can understand why. He looks dignified, healthy, comfortable as he writes on his memoirs. This photo was taken in June of 1885, less than a month before Grant's death. You can easily see his focus and sincerity, and nothing was going to stop him. He died shortly after. Mark Twain took the manuscript and quickly turned it in to one of the bestselling biographies of all time. The best part? It generated $450,000 for his wife and family...and that was a whole heck of a lot of money back then.